Four days of carnival fun start today on Yas Island. You can also see samba shows, try Latin American food at the mall’s Town Square, plus characters from Monica & Friends, the Brazilian version of Mickey Mouse will be in attendance. There will also be pop-up stalls, featuring brands such as Solari, Flora Brasil and Sweetez. ADMAF’s Abu Dhabi Festival is back, and first up is From Barcelona To Abu Dhabi, a collaboration with the Barcelona Museum Of Contemporary Art. On display are works from the European museum alongside pieces by 20 Emirati talents. In total, there’ll be art on display from more than 60 creatives, spanning 90 years. Emirati artists exhibiting include Mohammed Kazem, Farah Al Qasimi, Ebtisam AbdulAziz and MA Ibrahim. Artists from the museum in Barcelona include abstract duo Gusmão & Paiva, who use 16mm film projectors for some of their pieces, the late Spanish sculptor Juan Muñoz and American conceptual artist John Baldessari. The Fairmont is hosting art by six local talents this month, and a huge name in the world of photography, as part of an inaugural exhibition by a new company created by Abu Dhabi-based artist Emily Gordon. iAM Here & Now is the first exhibition by International Artists Management, founded by long-time capital resident Gordon, to promote local and international talents (you may well have seen her work at the Fairmont before, at one of the No White Walls exhibitions – she’ll also be displaying work at this new event). 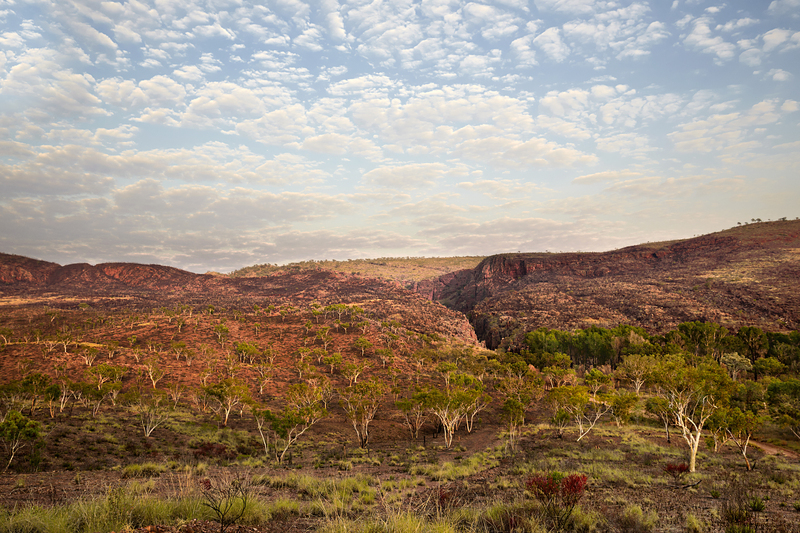 Exhibiting are Australian landscape and fashion photographer Anthony Horth, plus locally-based talents Rashed Al Mansoori, Unni Kriens, Maryam Abdulla and more. 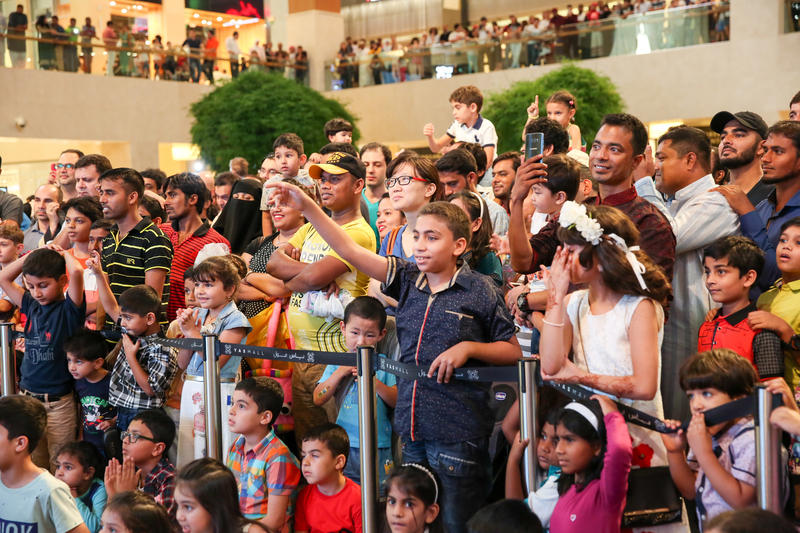 The biggest names in professional cycling are currently racing through the emirate’s streets for five days. Today they are doing a loop of the capital, and tomorrow there’s a time trial event on Al Reem and Al Maryah Island. There will be road closures as a result, and we have all the info you need to know about those right here. 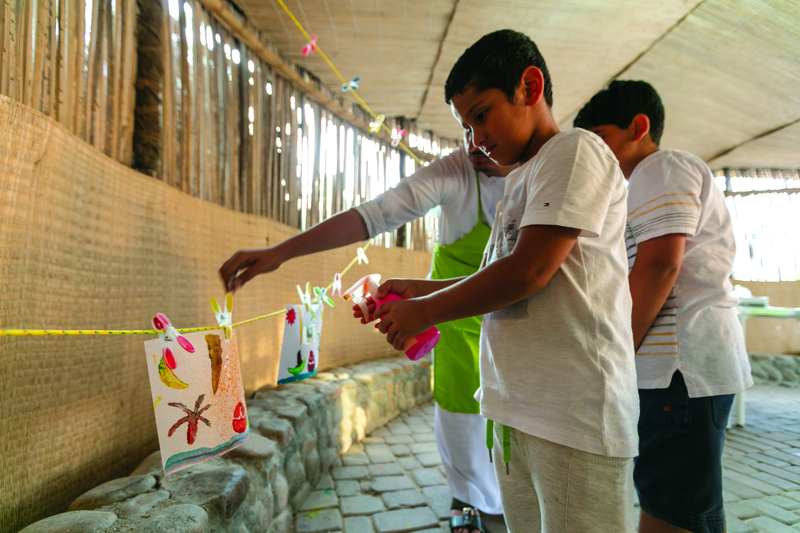 Head to the Garden City for kids’ workshops, traditional Emirati cooking demos, a market and more. Fancy dining out alfresco this weekend? The Marriott Downtown’s adults-only brunch has moved to the hotel’s rooftop bar Grill@25. 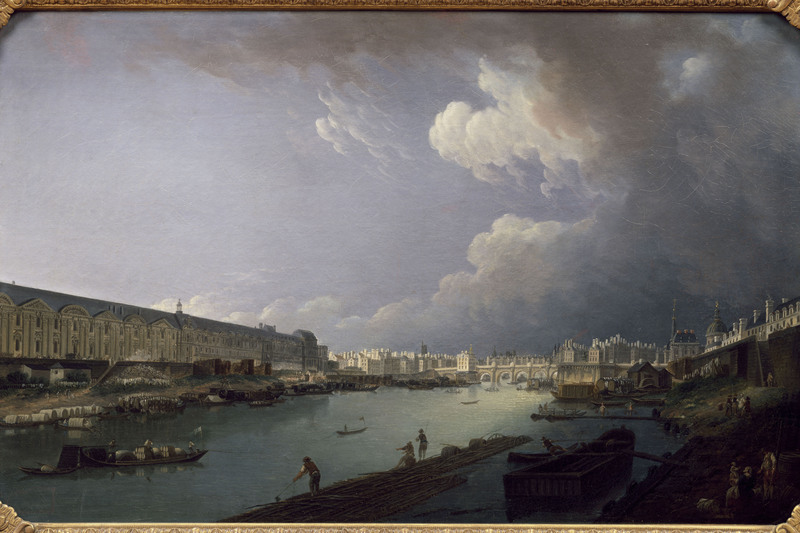 The inaugural special exhibition at Louvre Abu Dhabi, From One Louvre To Another: Opening A Museum For Everyone, traces the history of Musée du Louvre in Paris and will run throughout the first quarter of 2018. It features approximately 145 significant paintings, sculptures, decorative arts and other pieces from the collections of Musée du Louvre and Château de Versailles. The rising British pop star is performing tonight in the capital. She was the most streamed artist in 2017 on Spotify, beating the likes of Rihanna and Taylor Swift. 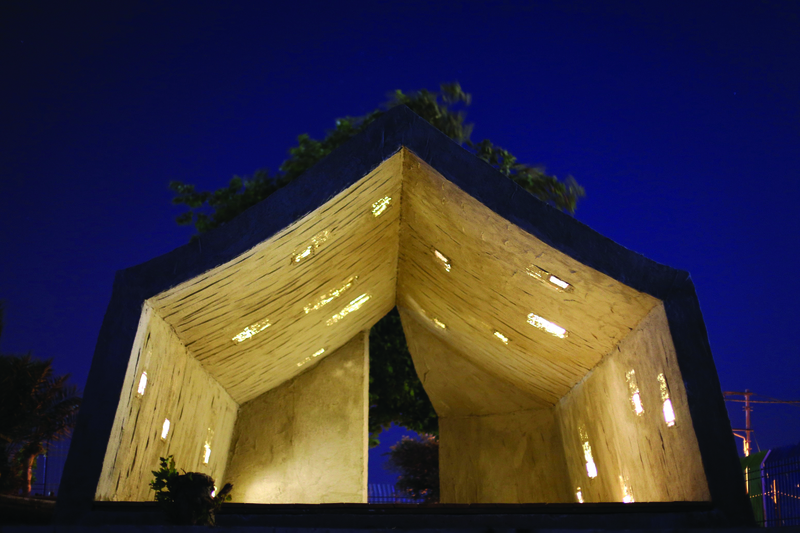 Two award-winning talents are exhibiting at NYU this month – Italian architect Alessandro Petti and architect and researcher Sandi Hilal are the codirectors of DAAR, an architectural studio and artistic residency programme based near Bethlehem. The exhibition Permanent Temporariness examines how human experiences are influenced by our understanding of permanence or impermanence through a series of art installations. In a nutshell, it’s a study of exile and displacement caused by political, social and economic reasons. Fancy watching movies outdoors? 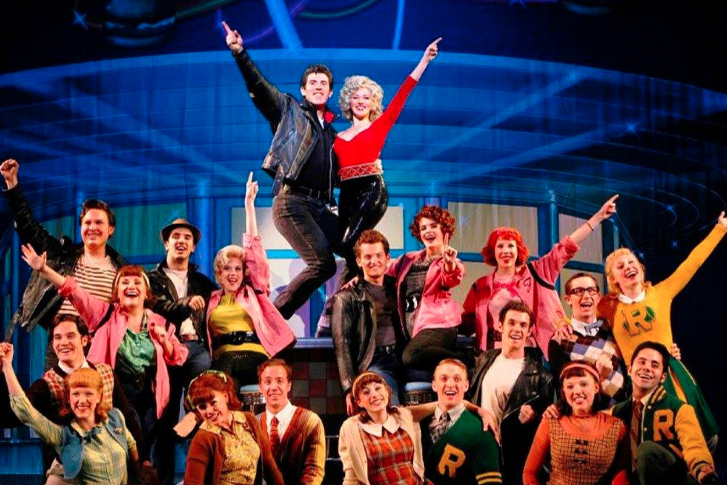 Arabic, Indian and English flicks will be sceened at Gateway Park this month, including the classic 1978 flick Grease starring John Travolta. NYU hosts a new exhibition this month – Markazi sees photos from two talents on display; award-winning French-Algerian photographer Nadia Benchallal and Assistant Professor of Anthropology at New York University Abu Dhabi Nathalie Peutz. The exhibition looks at forced migration, displacement, identity and heritage and the images by Benchallal were taken at the UN Refugee Agency camp in Djibouti, where some 1,500 refugees are currently living. 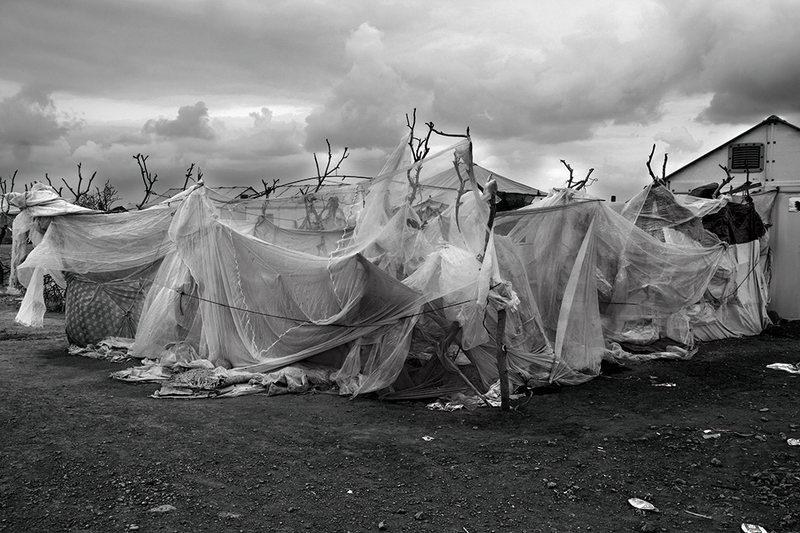 The photos give an insight to what life is really like in a refugee camp. 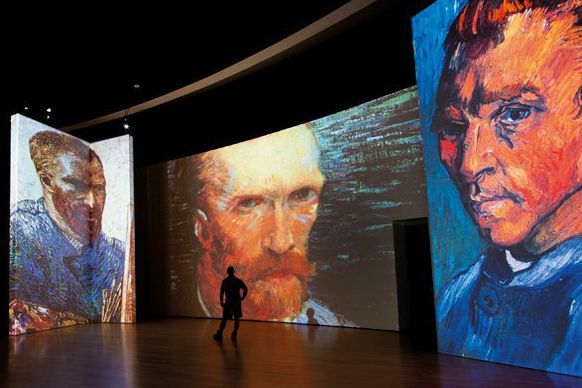 See the works of Vincent Van Gogh, the Dutch impressionist, in the capital at Abu Dhabi National Theatre in a very unique way – Van Gogh Alive projects the artist’s works onto the gallery’s walls, showing them at a larger scale and in stunning detail. The show features 3,000 images set to a soundtrack of classical musical.